Tiffany style guitar pick jewelry! This idea easily came to mind while admiring a book I have on Tiffany art that I got a while ago. His stained glass lamps and art are gorgeous, and I knew I could make these into beautiful guitar pick designs. So I went through my book, picking out my favorite pieces and cut them into guitar pick shapes for pendants. With this batch I also wanted to try something new, which was creating stud earrings AND clip on earrings! They turned out great, and are comfortable and light. 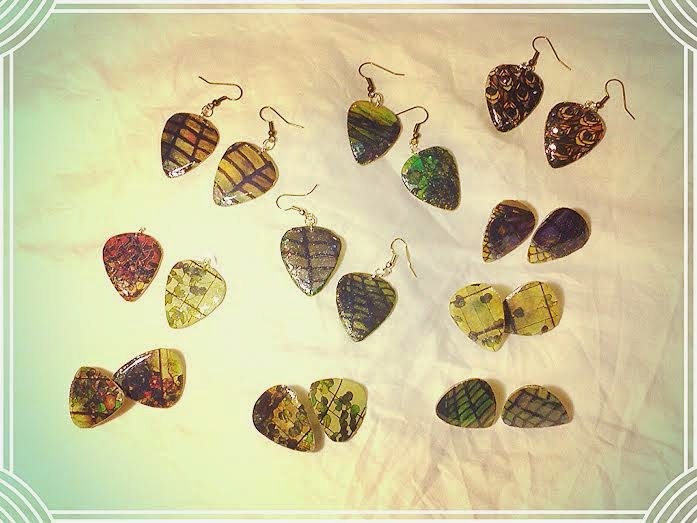 Pictured: Top row features hook style guitar pick earrings with Tiffany design, second row features Tiffany pendants, hook earrings and stud earrings, bottom row features clip on Tiffany style earrings and stud earrings on the end. 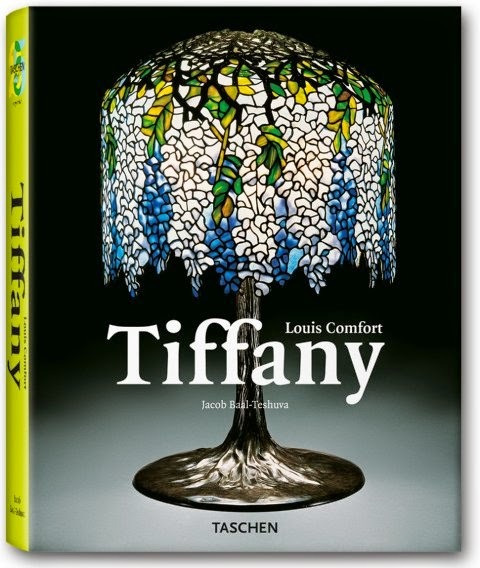 All art featured on these picks are works by Louis Comfort Tiffany.